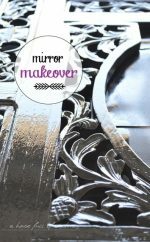 Home > Projects > Home Decor > Beach House Reveal! Hi! This is Karen from A house full of sunshine. 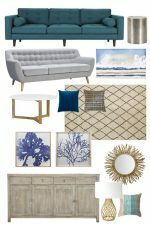 Last month I shared a mood board that I put together for a beach house living area. 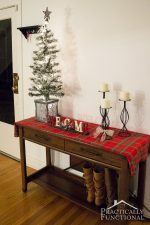 Well, it’s been a busy month, and the house is now furnished and decorated! Come on in and let me give you a tour. What do you think? I was so happy with how it all came together. It has exactly the relaxed, modern coastal style I was going for. 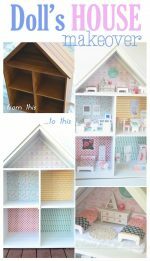 ….to get more creative home-making updates from A house full of sunshine straight to your inbox! 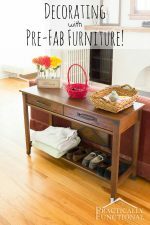 It makes creating a beautiful room just like this one easy and inexpensive. Even better, I’m offering a special for Practically Functional readers this month only – $100 off my regular price! Just enter the code “Practically Functional Special” in the subject line of your email when you drop me a line. All information and details can be found right here! Let’s chat – what’s your favourite part of this room? 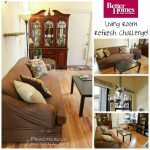 Living Room Refresh For Under $250! 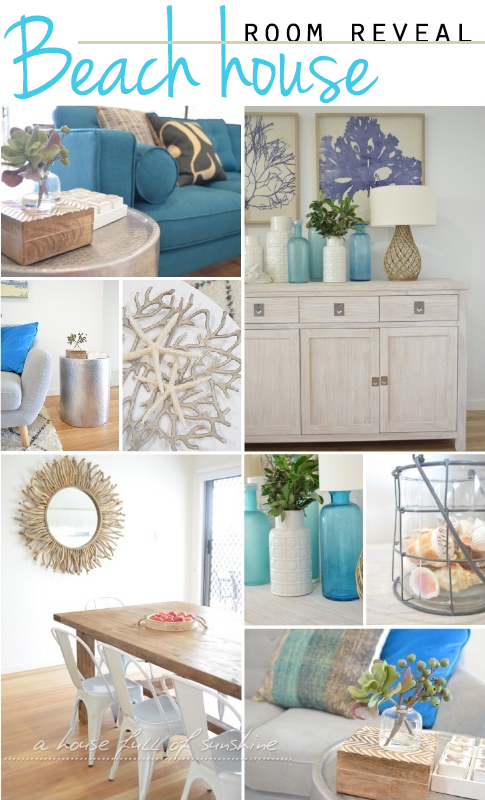 The beach house looks so wonderful, I love the incorporation of the lovely blue into the interior. Great job! Thank you, Ace! I appreciate that! I love how this turned out! Beautiful job. I especially love the wall art. Very nice! Do you have sources? Love the purple coral wall art. Where could I find that.